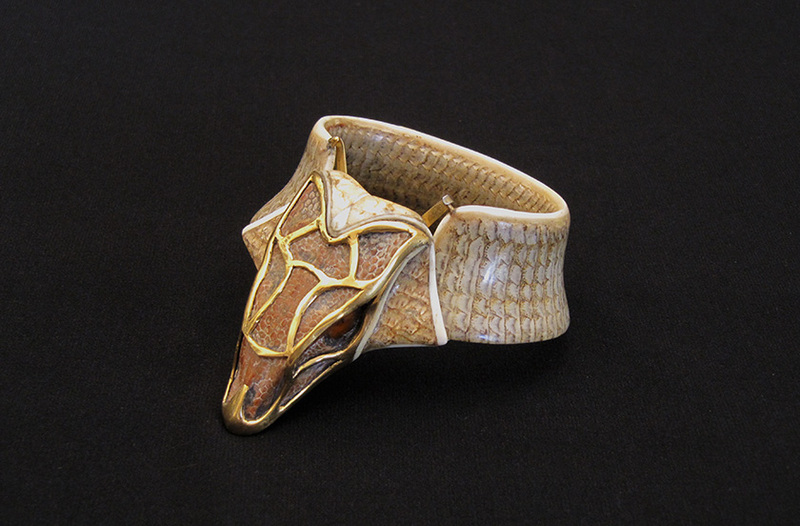 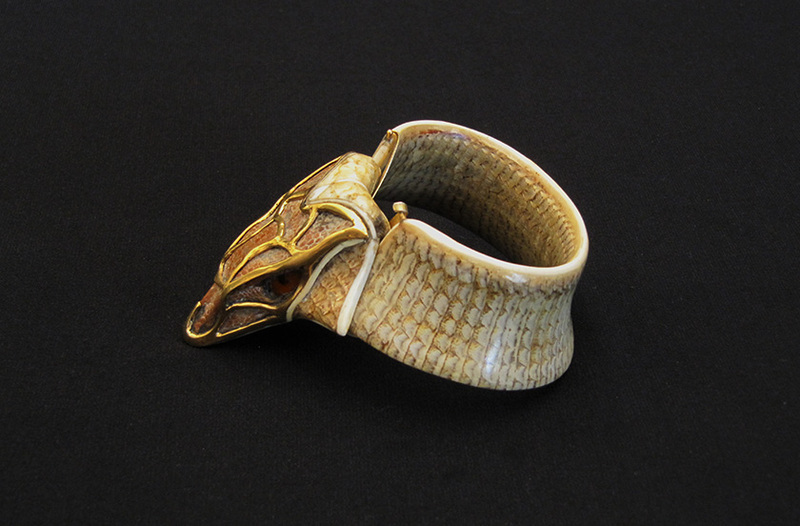 The bracelet is made of a lizard skull, lizard skin and ivory. 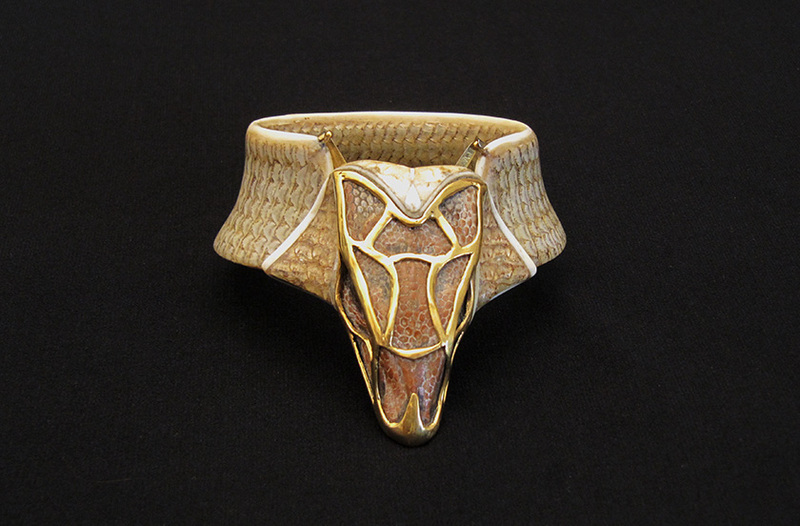 The mask is 18 ct gold and the eyes are made of amber. 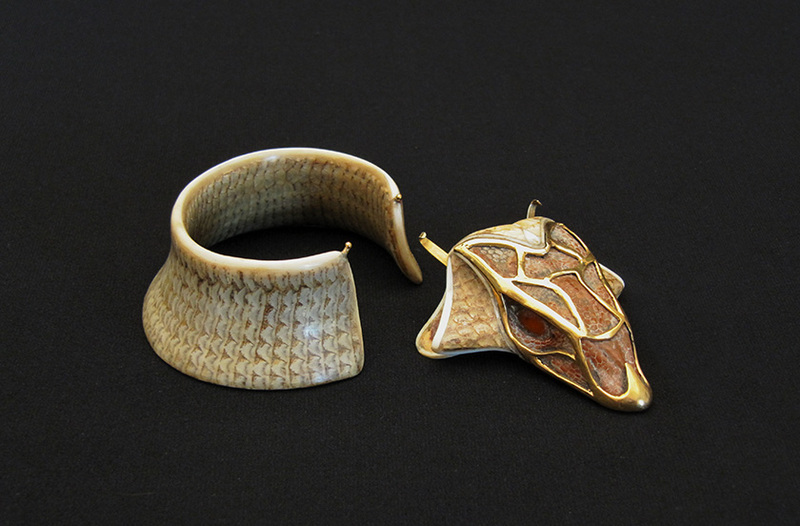 The bracelet opens by removing the head.